On this page we will list some of the products we offer as part of our main product line. Please check in often because we will frequently update the product pages with new items. Don't see what you want? E mail us, we may have it. Some of our other items. This new Collectible pocket knife is made by the Franklin Mint. It has been out of production for 10 years. The knife has one gold colored blade and comes with a leather case, which is lined with felt. There are two green stones that look like eyes, and a red stone above the eagles head. The Franklin Mint seal is on the back. A real find for a eagle or a knife collector. 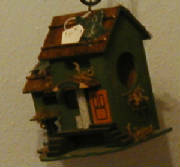 We have several Bird Houses in stock. 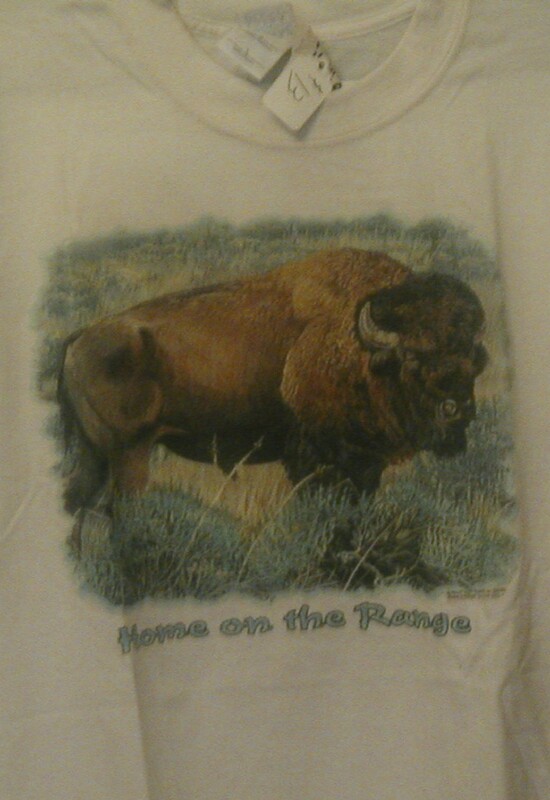 A buffalo stands guard on the praire..
We have shirts for: Army, National Guard, Navy, Marines, Air Force, and Coast Guard, M A S H 4077. 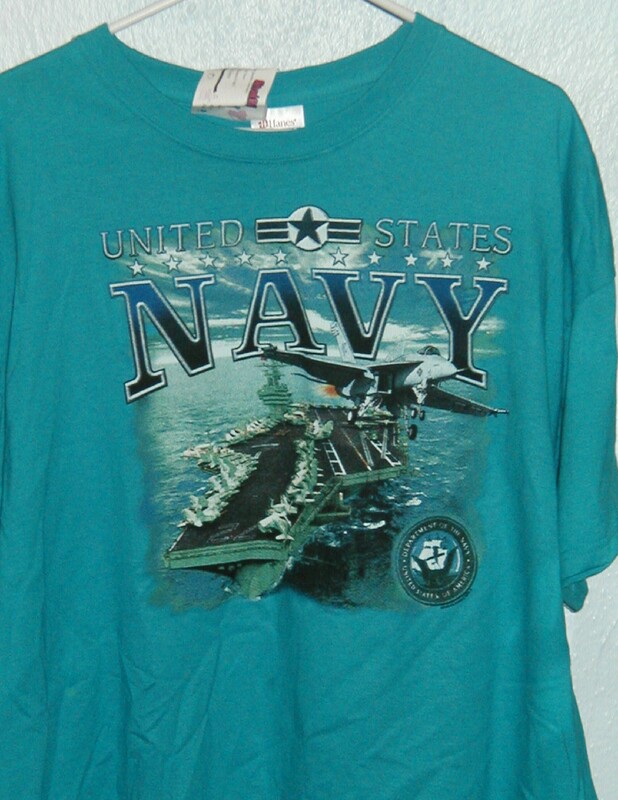 Several shirts to choose from. We also design our own shirts. 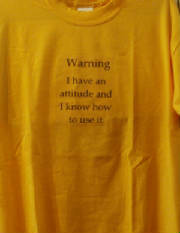 We have several sayings in different sizes and colors. 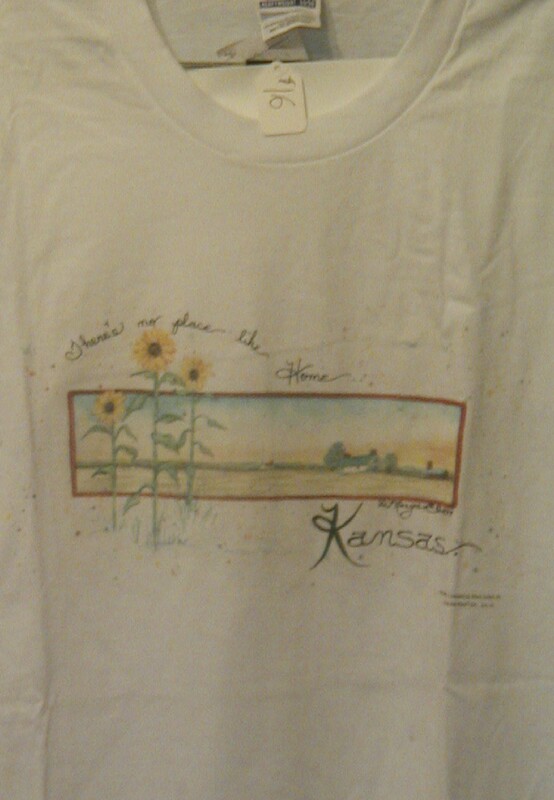 A Kansas shirt showing the State Flower.